Government has welcomed a new public transport payment system, Tap N Go, introduced by Pamushana Africa Transport kombis yesterday. Speaking during the tour and drive in one of the commuter omnibuses, Deputy Minister of Transport and Infrastructural Development, Fortune Chasi, said the move comes as part of Government’s efforts to adopt new technologies. “I have come on the ground to witness how this Tap N Go service works in their kombis, I have noted its efficiency and how the public will be dealing with it. “This is something in line with Government efforts to introduce new forms of technology to the public and I am happy to see people adopting to the service. “As Government, we see this as a step towards what we want in our public transport system,” he said. 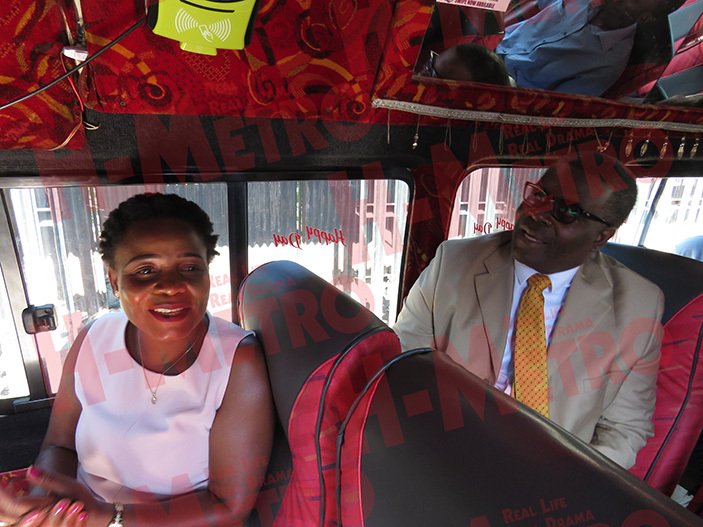 Deputy Minister Chasi said the system will be helpful to many commuters. “This new system is a problem solved for both parents and their children for there is no need to look for cash anymore, they just load the card and look for any of these Kombis. “We are calling for other kombi operators to embrace this technology so that everyone across the country gets to experience this type of technology,” he said. He said there are no efforts to phase out commuter omnibuses. “Government has no desire to ban kombis anytime soon. “When we introduced the convectional buses in January, the idea was to deal with fare problems and that has been achieved. “The kombis give competition on the roads and this always benefits the commuters,” he added. 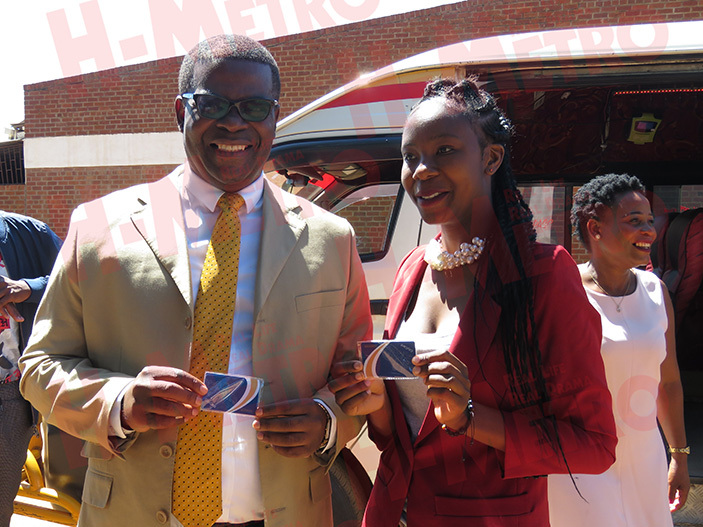 Deputy Minister Chasi also joined members of the public from the city centre to Warren Park familiarising with the cashless payment service. The deputy minister also witnessed a police officer, who pounced onto the commuter omnibus and wanted to impound it for loading at an undesignated corner. Deputy Minister Chasi said as a government official he will continue with his approach of witnessing some these daily activities that players in the ministry are facing. Pamushana director Lisa Chipika the system will beat kombi price hikes. “We have introduced this new system to benefit our customers whom we value so much. “Each customer will get this card through our partner City Card who will soon have branches across the CBD. “The card will charge on the tap and this will get rid of other problems such as being over charged $1.50 or $2 per trip. “The system also allows us as business owners to properly manage the returns from each trip,” she said. According to the director, the card is preloaded per month or per week, customers can also reload the same card and block the card if lost. Pamushana Africa plies the City-Warren Park route and has advised its customers to purchase the city cards at Rezende Mall. Plans to have an office near Copa Cabana and Warren Park shops are underway.